Tech Blog with latest tech news CopyShould 10 Best Android Phones under 15000 Tech Blog with latest tech news CopyShould!! Looking to buy a good phone around 15,000 Rs? Then it can be a very tedious task as it’s the most confusing price range where you have to choose among the good international brands or the powerful specs from Indo-Chinese brands. To ease out your confusion, I have written the latest ranking of 10 Best Android Phones under 15000 Rs. for the month of September. Read it and compare the phones and choose the best one for you. You can checkout best phones in other price ranges and many other gadgets in our Buyer’s Guide. We believe that specifications of the phones just tell the half story, a great user experience matters more than great specifications. So, while preparing this list we have considered everything, the specifications, hardware, software (UI), real-world performance, user experience, brand value, after sales service and more. We see a phone as a complete package which should at the end deliver great satisfaction to the user and our rankings are based on the same principles. We consider hundreds of phones, from biggest to the smallest brands and come with our honest rankings every month. A great fact is that, Moto G has been the most selling product across any category on any e-commerce platform in the history of Indian e-commerce. Well, it has a glorious past but, now let’s get started with the Moto G (3rd Gen). The phone has a very simple design from the front and a very classy curvy back which has a vertical strip which houses the camera, LED flash and the Moto logo, this strip looks very beautiful and adds uniqueness in the design of the phone. The phone is very comfortable to hold in hand and offers good grip. It sports a 5 inches HD screen with 294 ppi pixel density which is decent. It is powered by Quad-core 1.4 GHz Snapdragon 410 Processor coupled with 2 GB RAM, it is definitely not for the heavy users but on a day-to-day basis it runs flawlessly and plays small to medium games very efficiently. It runs on the Latest Android 5.1.1 Lollipop with pure stock Android UI, which also makes the performance good. Great thing is that, it will always get the future Android updates that too faster than many flagship phones! 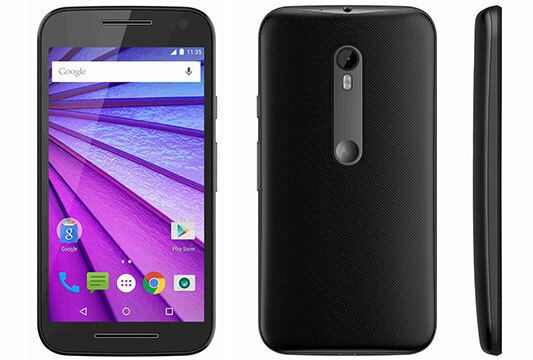 For the last two Moto G’s camera was the weakest point, for the 3rd Gen it’s the strongest. It packs a 13 MP rear camera with f/2.0 aperture lens, HDR & dual-LED flash. The 5 MP front camera comes with f/2.2 lens and a Field of view (FOV) of 72 degrees. Both the cameras are really good. An icing on the cake is, it is water-resistant for upto 30 minutes, this IPX7 certification is provided by no phone in the near price range. It has 16 GB internal & upto 32 GB expandable storage, Dual Sim, 4G, and a very good battery life with the 2470 mAh battery. Overall, if you are not after heavy gaming, it is a great overall device to buy, it gives you the best experience. The Zenfone 5 was a hit! Looks like that piece of success has given Asus the perfect sense of market demand. I am saying this because the newly launched Asus Zenfone 2 series is excellent and pretty much delivers everything that a user desires – Good Performance, Camera, Battery Life, Design, Latest Android and an overall good User Experience. Well, the Zenfone 2 is quite well-known for its 4 GB RAM but it starts from 19,999 Rs. 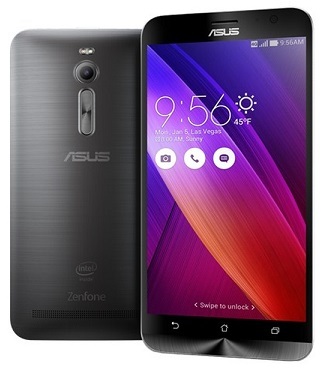 but at under 15k we have got the Zenfone 2 ZE551ML with 2GB RAM (details about other variants here). It runs on Quad Core, 64-bit, 1.8 GHz Intel Atom Z3560 processor which is very powerful. It sports a 5.5 inches Full HD display which is very good and it is also protected with Corning Gorilla Glass 3. The phone has a 13 MP rear & 5 MP front camera, the picture quality of both the cameras is very impressive. They are bright & colourful. It allows FHD video recording & produces good quality videos. It also has Dual-LED Flash and many other features. It runs on the Android v5.0 Lollipop with Asus’s ZenUI running on top of it. It supports Dual Sim & 4G (LTE). It is good on storage and has a good 3000 mAh battery with fast charging feature. When it comes to design, the phone looks very good and more importantly it’s different from other phones in the market. Overall, the Zenfone 2 at this price is a perfect all round device. The Asus Zenfone 2 Laser (3GB RAM) priced at Rs 13,999 and Asus Zenfone Selfie (2GB RAM) priced at Rs 15,999 can be great choices as well, but they are yet to become available. Samsung is very determined to get back its share in the budget smartphone market. With the launch of the new Galaxy J5 & J7, we now see a completely refreshed line-up of phones spread across every price in the budget to mid-range segment. Among the Galaxy J5 and J7, the J7 packs better features and off-course higher price. Design wise, the J7 looks good, it has got chromium bezels on the side and the plastic back with sort of matte finish, the build quality is decent. It sports a 5.5 inches HD Super AMOLED display and although it’s just 267 ppi pixel density, the Super AMOLED display is quite vibrant & colourful, it will not disappoint. It runs on Samsung’s own 1.5 GHz Exynos 7580 Octa Core Processor coupled with 1.5 GB of RAM, the phone actually has a good performance and it handles games well. Cameras have been the strength of Samsung phones, the J7 packs a 13 MP rear camera with f/1.9 aperture and the camera is very good. A great news for selfie lovers, the 5 MP front camera of the phone also comes with a LED flash and lots of tools which make it a very good phone for selfie lovers. It runs on the latest Android 5.1 Lollipop with Samsung’s Touchwiz UI on top of it. It has 16 GB internal storage which is expandable upto whooping 128 GB’s. The phone supports Dual sim and 4G. The 3000 mAh battery gives it a very good battery life. 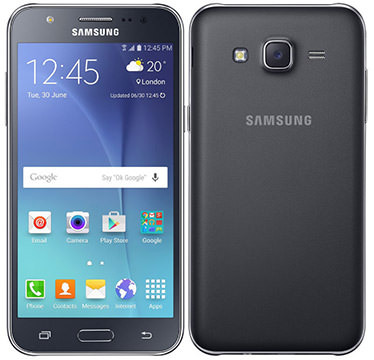 Overall, the Galaxy J7 offers all the latest features and with a great selfie camera it becomes a complete package with the trust of Samsung, a very good buy at this price. Also, the old yet powerful Galaxy S4 is also available at this price, it can still be a very good choice. “Power” & “Simplicity” are the two words which describe the Mi4 entirely. It runs on the very popular and very powerful Snapdragon 801 Processor which was used in almost all the last generation flagship phones. To make the performance even greater it has got 3 GB RAM. So, there is no need to describe the performance, you yourself can imagine how fast and fabulously it will perform. It sports a 5 inches Full HD display which is also pretty good and bright. The things we should discuss in details is the camera performance of the phone. It has got the Sony IMX 214 CMOS sensor which is quite advanced. The camera quality is pretty good, it is capable of recording 4K videos, the Autofocus of the phone is pretty fast (0.3 Seconds) and decent and works quite well. The camera works quite well at night also, it has High Dynamic Flash which takes two photos one with flash and one without flash and then mixes the colors in both the photos so, the image gets natural colors. The 8 MP front camera is equally good. The battery life of the phone is very good. Its design is simple but the metallic bezels gives it a premium and stylish touch. It runs on the custom Android skin of Xiaomi which is the MIUI V6 which is quite beautiful. The Infrared blaster in the phone might be quite useful to control TV, AC, etc. Overall, it’s the beast of the phone and is certainly a great choice for camera lovers or power-hungry users but it has two downsides also – it is a single sim phone and there is only 16 GB storage which can’t be expanded, although you can go for its 64 GB version priced at 17,999 Rs. If you like the Mi 4 but dual sim is a must you can also buy a refreshed version of it – the Xiaomi Mi 4i which comes with dual-sim and also has a bigger 32 GB storage. 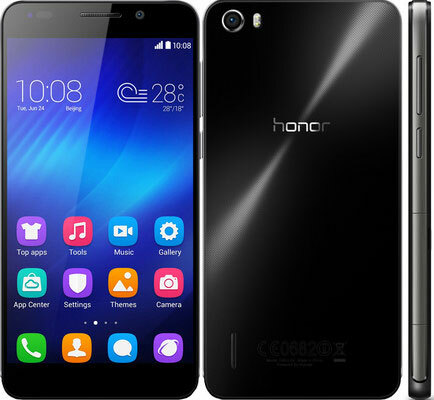 The Honor 6 is an amazing phone from Huawei. It is packed with great hardware and an amazing design with good built quality. It weighs just 130 grams and has a thickness of just 7.5 mm, it feels premium and comfortable in hand. The phone features a 1.7 GHz Octa-Core processor and 3 GB RAM which makes the performance of the phone truly great. You just can’t get the lags with such powerful specs! The phone sports a 5 inches screen with Full HD 1080 x 1920 pixels screen resolution which turns out a great 445 ppi pixel density. The phone has very good 13 MP primary camera with Sony’s BSI sensor and Dual-LED flash, the picture quality is very good. It also has a 5 MP front facing camera. It has 16 GB internal storage which is expandable upto 64 GB. And it has a very good battery life with the Li-Po 3100 mAh battery. The only downside of the phone is that it is a Single SIM device. Overall, this is another great alternative for those who need power for heavy gaming or multitasking, you can get full value for your money with this phone. This is the phone with lots of innovation. The company calls it the “World’s First Layered Smartphone”. So, let’s come straight into its layered design. The phone has uniquely designed layers which you can attach to the phone, to simplify, these layers are actually just cases or covers. The first is the battery layer or the battery case which can be considered as a power bank of 2300 mAh capacity. All you have to do is just attach it to the phone like normal covers and your phone will start charging. You can get this case on Flipkart for 1,999 Rs. Another layer for this phone is the case with built-in JBL speakers which you can attach to the phone just like the battery case. The JBL speaker layer is an actual portable speaker which connects to the Vibe X2 with Bluetooth, the speaker is very loud and it also has its own battery so the phone’s battery is not used. This case also acts like stand and holds the phone in a perfect tilted position to watch movies. The other specifications of this phone are also powerful. It has good performance with 2 GHz Octa Core MediaTek 6595M Processor coupled with 2 GB RAM. It has great Full HD display & good cameras. Overall, the Lenovo Vibe X2 offers a unique and interesting layered concept, which is actually good and the phone itself is packed with amazing features. So, it can be a very good buying choice. 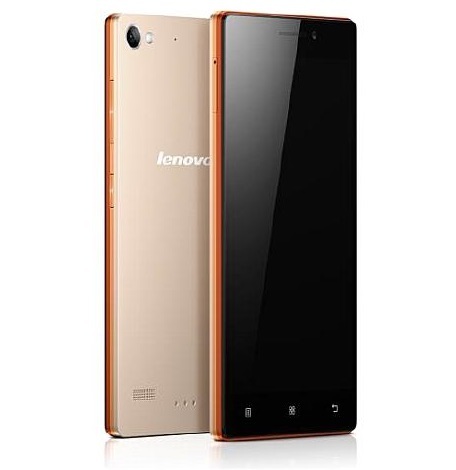 If battery is your main concern, at the same price the Lenovo P70 with 4,000 mAh battery can be a great choice, it just has an HD display and rest specs are powerful. The Xolo Black is Xolo’s most promising smartphone until now. If we talk about the design, the phone looks stunning, it has rounded corners, Corning Gorilla Glass 3 covers both the front and the back of the phone. On the back, the placement of two cameras and the LED Flash in between them looks amazing, the power button & volume rockers are placed very nicely on the side of the phone, the power button also has breathing light for notifications which looks very stylish. The phone feels very premium and scores full marks in design. The XOLO Black sports a 5.5 inches Full HD display with 403 ppi pixel density and the display is awesome. It runs on 1.5 GHz Octa-Core 64-bit 2nd Gen Qualcomm Snapdragon 615 Processor coupled with 2 GB RAM which has good performance, the phone can handle mid level games pretty well although it lags a little in heavy games. The best part of the phone is the dual camera setup on the rear. The Xolo Black has two rear cameras of 13 MP & 2 MP and both work simultaneously, the 13 MP camera captures the subject while the 2 MP camera is used to capture the Depth and the final image is the combination of both. The rear camera comes with features like fast focus (0.15 sec), Ubifocus™ (you can change the focus after clicking images) & ChromaFlash™ (snaps two shots, one with flash and one without). These features promise a lot and the picture quality is good but could have been even better. The 5MP front camera also comes with front LED Flash. It runs on latest Android 5.0 Lollipop with beautiful HIVE UI on top of it. The phone has a great 3200 mAh battery. 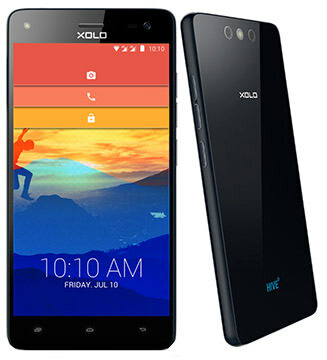 Overall, the Xolo Black is a very good package, it has a great design and good features and can be a good buying choice. Beautiful!!! This is the feeling you get when you first see the phone. The HTC Desire 626G Plus carries forward the new design trend of the mid ranged HTC devices like the Desire 826. It has a plastic build but the phone’s design is awesome and you can fall in love with it instantly. It’s not only beautiful from outside but the HTC Sense UI is also pretty beautiful. The phone is also good when it comes to the hardware which runs the phone. It sports an Octa-core 1.7 GHz Cortex-A53 Mediatek MT6752 Processor and 1 GB of RAM which runs the phone smoothly but, it’s not for heavy usage. It has 5 inches HD screen and the display quality is decent. In the HTC Desire 626G Plus, HTC has increased the rear camera from 8 MP in the Desire 620 to 13 MP, it also has a 5 MP front camera and both the cameras of the phone are very good. It supports dual sim but doesn’t have 4G (LTE) which its competitors are offering at the same price. It has got a 2000 mAh battery which gives acceptable battery life, 8 GB of internal storage which can be expanded upto 32 GB. One thing to note is that, the back of the phone is glossy so it attracts fingerprints easily. Overall, if you want a good designed phone with decent performance from among the top brands then this can also be a good choice. 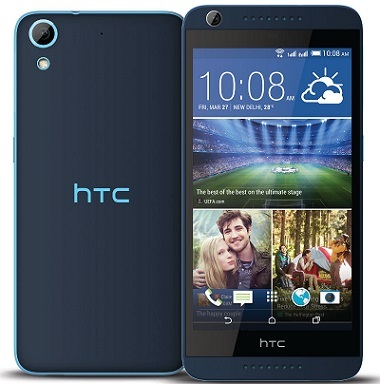 HTC also offers bigger 5.5 inches HTC Desire 816G Plus (Octa Core), it can also be a good choice if you want the design of HTC with a bigger screen. 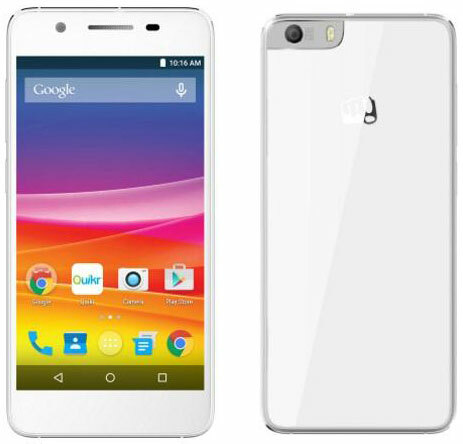 Micromax has launched the next version of the popular Canvas Knight named as the Canvas Knight 2. The first thing to notice about the phone is its stunning design. The phone measures just 6.3 mm of thickness and it has an all metal and glass build as it has got Corning Gorilla Glass 3 on both the front and back of the phone while the bezels of the phone are metallic. This gives a premium design and look to the phone and at the same time it feels very good in the hands so, it scores full marks in design. When it comes to performance, the Knight 2 is powered by the powerful 64-bit Qualcomm Snapdragon Octa core 615 processor coupled with 2 GB RAM. This makes the performance of the phone very good, it runs smoothly without any lags. The 5 inch display of the phone comes with Amoled HD display well its good but seeing the tough competition, a Full HD screen would have done wonders for Micromax. The phone runs on the Android Lollipop 5.0 with nearly stock UI. It sports an impressive 13 MP rear camera which comes with Sony IMX214 CMOS sensor and the phone also comes with 5 MP front camera which comes with lots of modes to get a perfect selfie. The phone supports 4G and dual sim. It has 16 GB internal storage which is expandable upto 32 GB but the microSD card uses the sim 2 slot so you can either use the second sim or the microSD card at a time. The phone packs a 2260 mAh battery which is expected to deliver decent battery life. Overall, the phone packs decent features and a great design so, if you are looking for a greatly designed slim phone then the Canvas Knight 2 can be a good choice. The older but powerful Micromax Canvas Gold with Full HD display is also available at this price. The Pixel V1 is Lava’s first Android One phone and it is the first phone among the 2nd generation of Android One phones in India. For your information, last year Google in partnership with local manufacturers like Micromax, Karbonn & Spice launched its Android One program in India, which has the motive to provide a pure Android experience with decent hardware certified by Google itself and regular Android updates at a very low price. Although the 1st generation Android One phones din’t received a huge response. 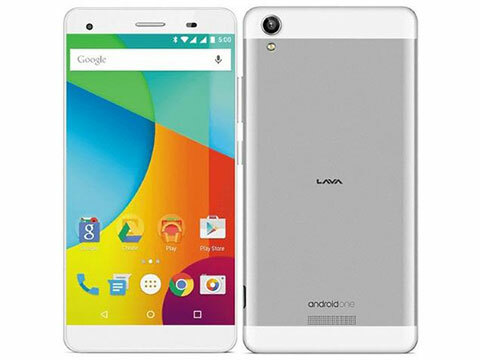 The Lava Pixel V1 is much improved over the early Android One phones. It has a simple design but decent build quality, it has a 76.3% screen-to-body ratio which makes the phone compact also, it weighs just 135 grams. It packs a bigger 5.5 inches HD display with 267 ppi pixel density, the display quality is decent. The screen is protected by Dragontrail Glass from Asahi. It runs on 1.3 GHz Quad Core Processor coupled with 2 GB RAM, it delivers decent day-to-day performance but it isn’t built for heavy usage. The phone runs on the latest Android 5.1.1 with stock Android UI and the best part of Android One is that, you get guaranteed upgrade to the latest Android OS for the next 2 years. The Pixel V1 has a 13 MP BSI rear camera with f/2.0 aperture, 5P Largan lens and blue glass filter, the picture quality is good. Interestingly, it has 8 MP BSI front camera with f/2.4 aperture, 4P Largan lens and blue glass filter, it also has a good selfie quality. It comes with 32 GB internal storage which is also expandable upto 32 GB. It supports dual sim but misses out on 4G. The 2650 mAh battery gives decent battery life to the phone. Overall, it is a good phone and packs some interesting features but the competition is fierce, you can get the Moto G (3rd Gen) at around the same price which delivers the same pure Android Experience in a better manner but, it still can be a good buying choice. InFocus the American company which has partnered with Foxconn to produce its smartphones has recently entered in India with some correctly priced quality smartphones spread across every budget price segment. 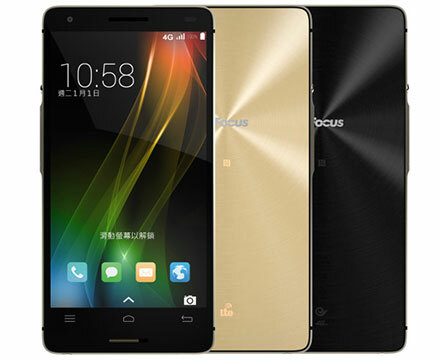 The InFocus M810 is another interesting product from the company. It comes with a stunning metallic design with the Corning Gorilla Glass 3 covering the front and the back of the phone, it has a thickness of just 6.9 mm. 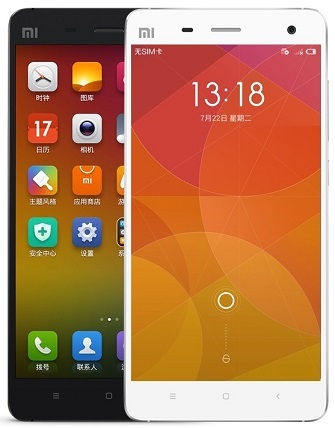 The phone’s design is very premium and detailed, the circular power button of the phone looks very beautiful. It has got a 5.5 inches Full HD screen with 401 ppi pixel density. A great thing about the phone is, it comes with the 2.5 GHz Snapdragon 801 Processor, which needs no introduction. It is immensely powerful and is well-respected. The phone comes with 2 GB RAM. The M810 has decent 13 MP rear and 5 MP front cameras. It comes with Sony Exmor R Sensor and f/2.2 aperture lens. The phone has 16 GB internal storage which is expandable upto 64 GB. It runs on Android Lollipop with the company’s InLife UI. The phone comes with 4G but bad news is that it is a single sim device. The phone is powered by a 2600 mAh lithium-ion battery. Overall, the phone is very powerful and comes with great design, it’s a good package but there are many phones in this list which provide all the powerful hardware and even the great design so, going with the more established brands will be a good idea but if you like this phone, you can go with it, it is a good phone.